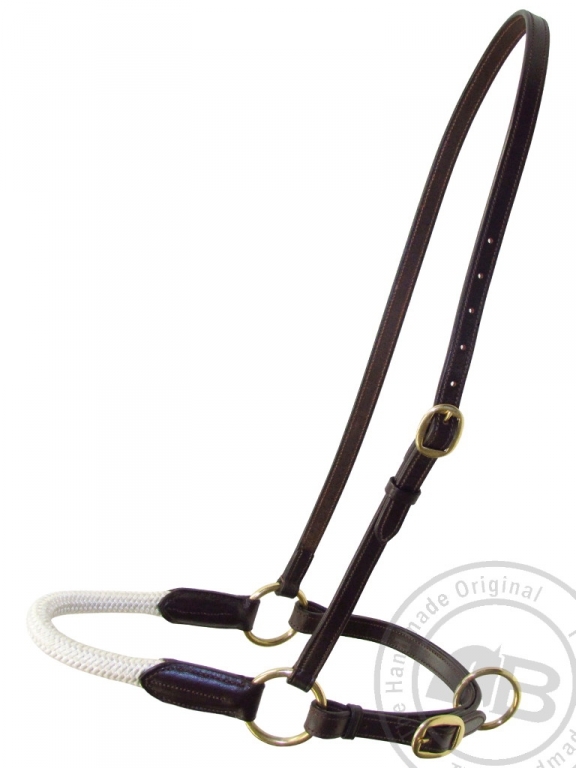 The polocrosse combo consists of a bridle, rope noseband, breastplate and a martingale extension. The leather work is in a traditional Bombers style with thick, hard wearing leather and solid brass buckles, which are made to be strong and durable. It is ideal for polocrosse. All leatherwork is dark brown and comes in Cutler or Stockman styles. The difference between the two styles is the level of decoration on the bridle and breastplate. 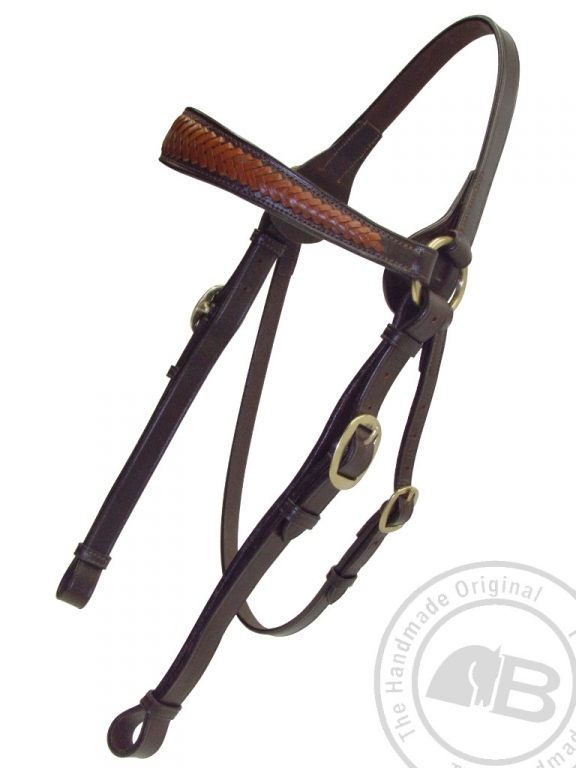 The chestplate loops over the neck and is attached to each side of the saddle, sliding over the girth or the saddles girth straps. 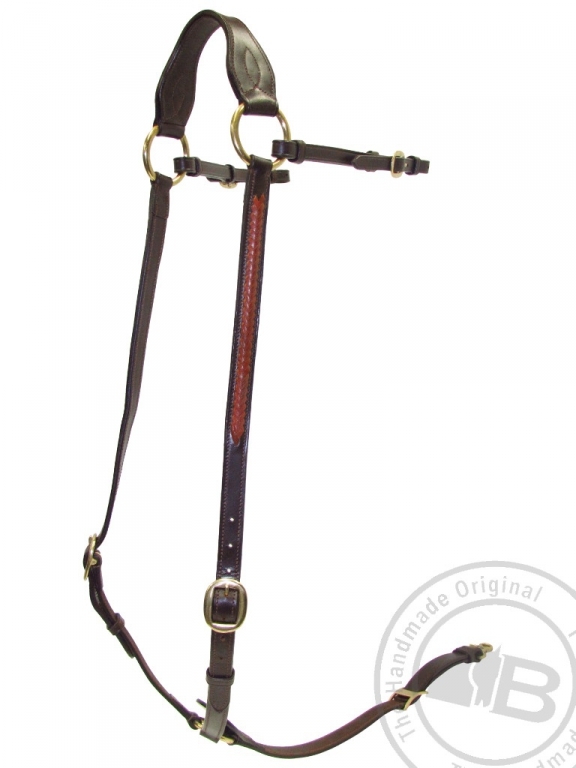 The main strap of the chestplate sits horizontally across the horse's chest. 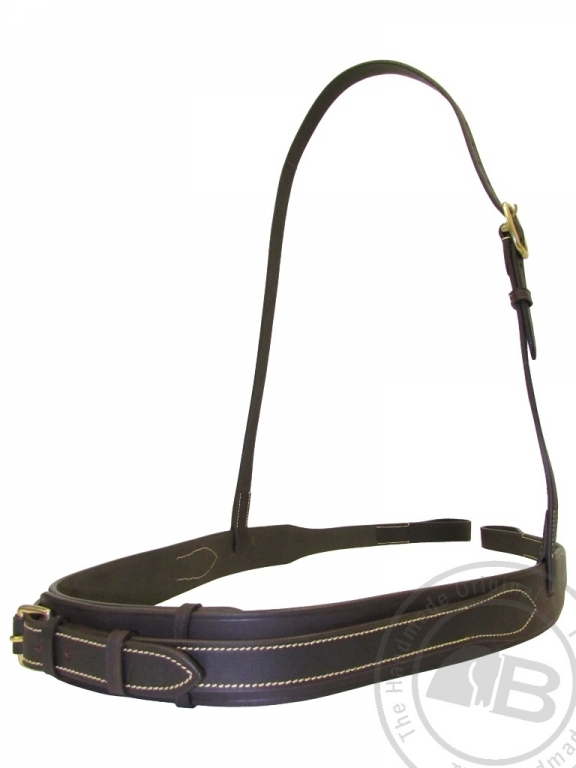 Made of strong dark leather it also has an adjustable strap so that it can fit horses with different width chests. The Bombers Nylon breastplate is hard wearing and very durable. Made to last a lifetime. Care of this product is very easy, just rinse it off and then hang it up to dry. Perhaps not one for the big occasion but great for just working in at home and saves on tack cleaning! Available in brown with brass fittings. 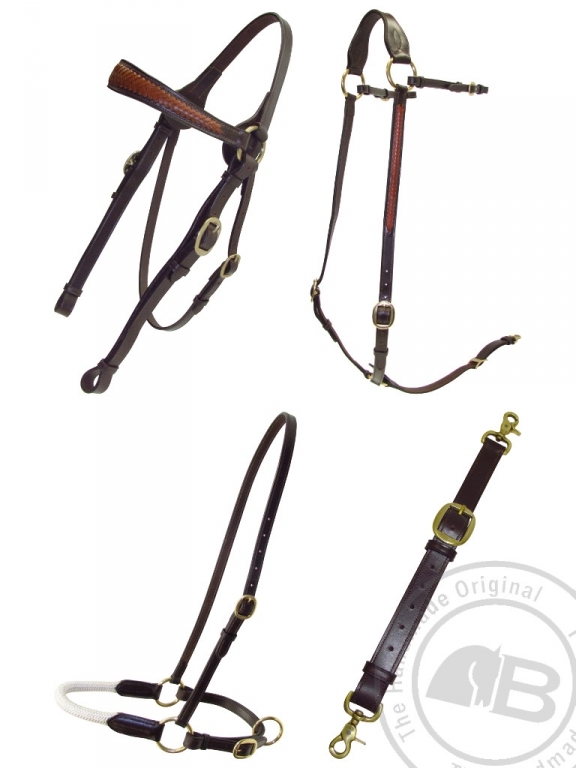 The Stockman Bridle comes in dark brown, hard wearing leather with strong brass buckles and has a more traditional look with its plain brow band. It now features quick release side pieces to allow for faster and easier changing of a bit. 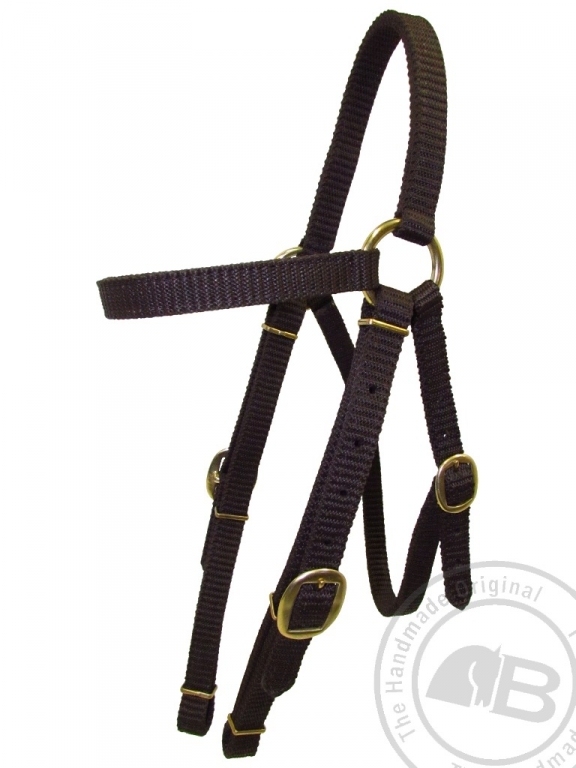 The Bombers nylon bridles are extremely tough and hard wearing, they will last a life time. Nylon needs no care, you can rinse these bridles off and hang them up to dry. No more saddle soap and leather oil! Perhaps not the one for a big occasion but great for working in at home and saving yourself some tack cleaning. Available in brown with brass fittings. 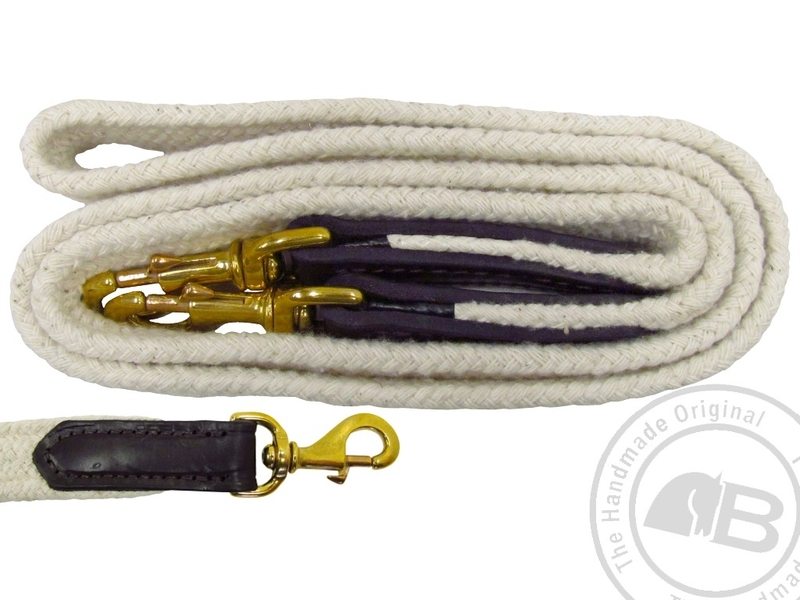 The noseband features soft white cotton rope around the front of the nose and then leather at the back, where there is a brass ring to attach a martingale clip. 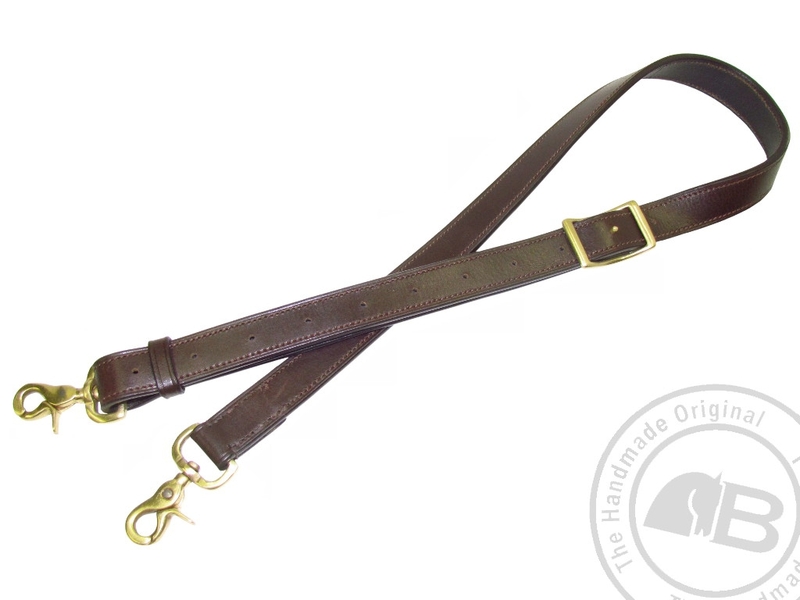 It is made of strong dark brown leather and is a favourite with polocrosse players around the world. 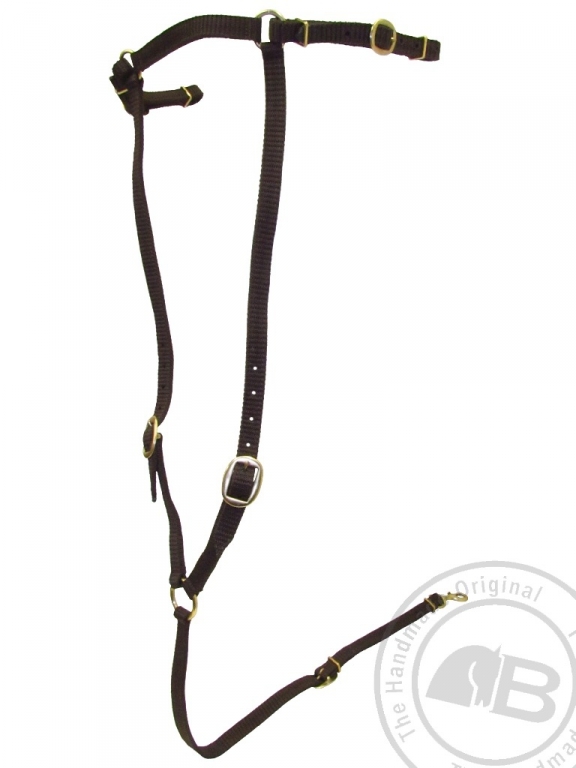 This martingale clips directly between the girth and the noseband, making it suitable for use with both breastplates and chestplates. 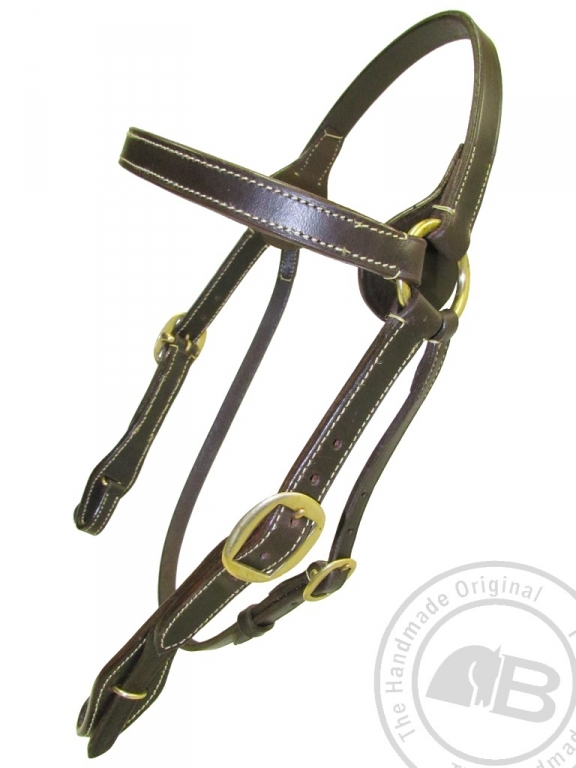 Made of strong, dark brown leather and with brass buckles it has a proven durability, ideal for the world of polocrosse. The martingale extension (often called the headcheck) is a short martingale which clips between the horse's breastplate and the noseband. 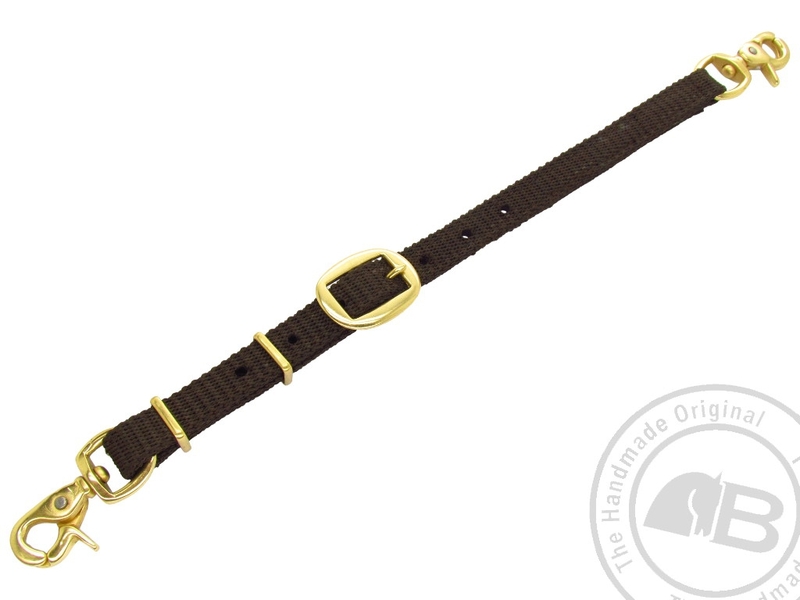 It is quick and easy to put on and take off and is made of strong, dark brown leather and has brass buckles for durability. 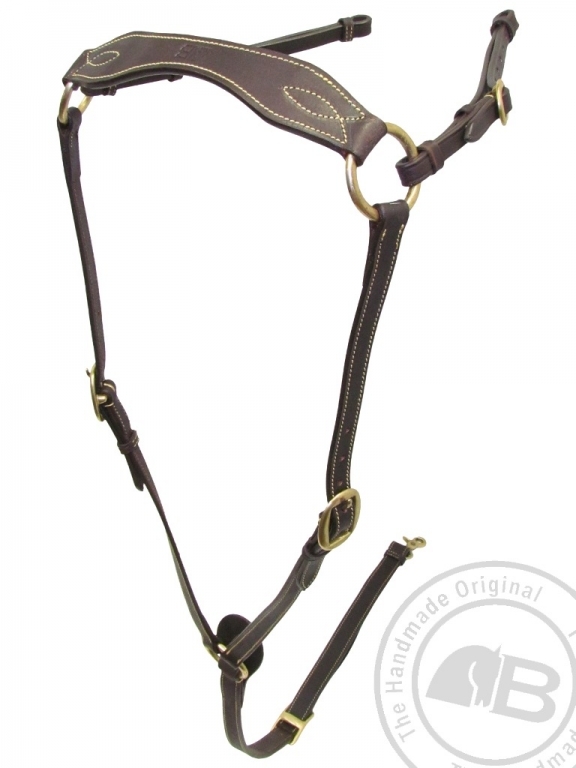 The martingale extension (often called the headcheck) is a short martingale which clips between the horse's breastplate and the noseband. 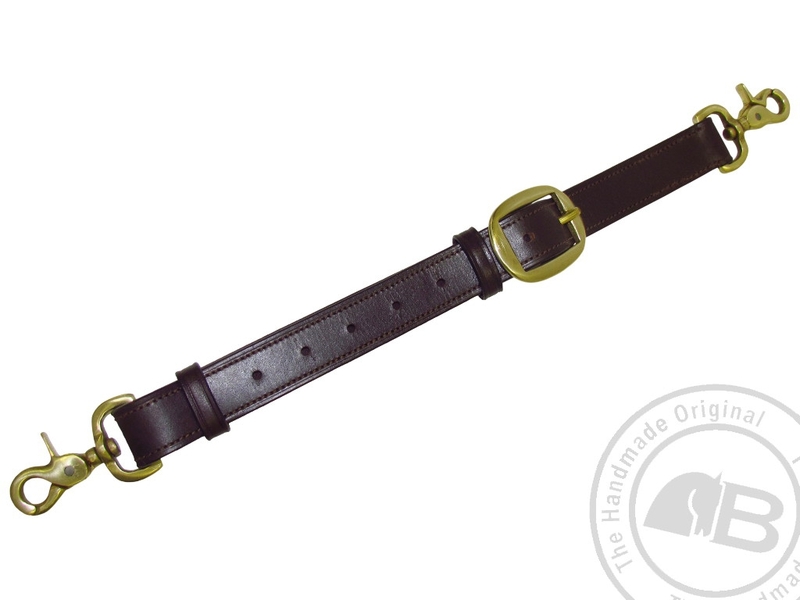 It is quick and easy to put on and take off and is made of hard wearing nylon and has brass buckles for durability. As it is made of nylon, cleaning it is easy; it can just be washed off and hung up to dry. Ideal for working in at home and saving yourself some tack cleaning. 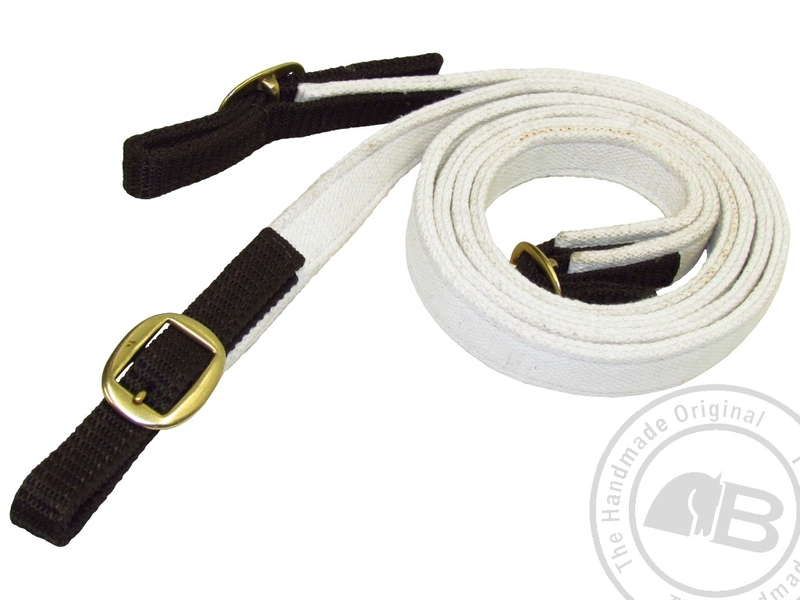 These reins are made of a double layer flat cotton with solid brass buckles. The cotton offers a large comfortable grip. Available in 4 and 5 foot.